Established in 1974, W.H. Long Companies is dedicated to continuing the tradition its founder William H. Long: providing quality housing services at an affordable price through tested innovation and a tireless work ethic. Over the years, Lafayette-West Lafayette has grown to rely on these qualities and W.H. Long Companies has met the area's ever increasing needs. The apartments, self storage and new homes that W.H. Long Companies have built, developed and acquired in the past three decades stand as a testament to the company's dedication and experience in Lafayette-West Lafayette. W.H. Long Companies has built and manages many apartment communities in the area, including Burberry Place, Black Bird Farms, Shoshone and Greenbush Crossing. Communities the W. H. Long Companies helped develop over the years include Vinton Woods, Blackbird Farms, Wake Robin and Red Oaks. Now more than ever, W.H. Long Companies meets the diverse housing needs and services of Lafayette-West Lafayette. 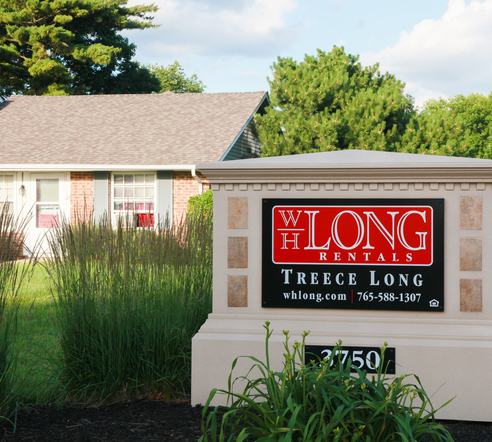 W. H. Long offers over 1,200 diverse rental units throughout the region. Quality is Our Family Tradition. WH Long Companies Apartment Homes and Storage in Indiana.